Retrospect®, Inc., makers of award-winning Retrospect Backup & Recovery software, today announced it has named Heinz-Jochen Peters as Regional Sales Manager for Germany, Austria and Switzerland. In this role, Peters will define the go-to-market strategy to develop sales by growing and supporting the company's partner community in the region. Peters will work with the company's DACH distributors, ComLine GmbH and ALLDIS Computersystem GmbH, and over one hundred partners to meet the growing demand for hybrid data protection within the DACH region. He brings over 25 years of sales experience with the DACH market, including similar roles at VirtualBridges Inc., Acronis, and Sun Microsystems, and will report to Jean-Christian Dumas, Vice President of Worldwide Sales. 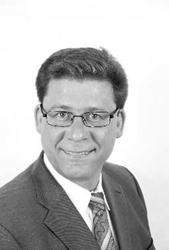 "I am delighted to be able to expand the channel in the DACH region. Retrospect's hybrid data protection allows IT system resellers to establish their own hybrid backup strategy for their clients," said Heinz-Jochen Peters, Regional Sales Manager DACH. "This allows partners to offer significant value to their customers and strengthen customer loyalty." "Hundreds of customers across Germany, Austria, and Switzerland protect their businesses with Retrospect," added Jean-Christian Dumas, Vice President of Worldwide Sales. "Heinz-Jochen’s years of channel and backup industry experience will help Retrospect's further expansion in Europe, ensuring that more businesses no longer worry about their critical data." "With Retrospect, our customers know that their data is protected with fast on-site recovery and reliable AES-256 encrypted off-site cloud storage, with storage locations in Germany with Dunkel Cloud Storage and around the world with Amazon S3 and Google Cloud. These local and remote options guarantee full control over our customers' data," said Olaf Rehberg from SalesPoint GmbH.